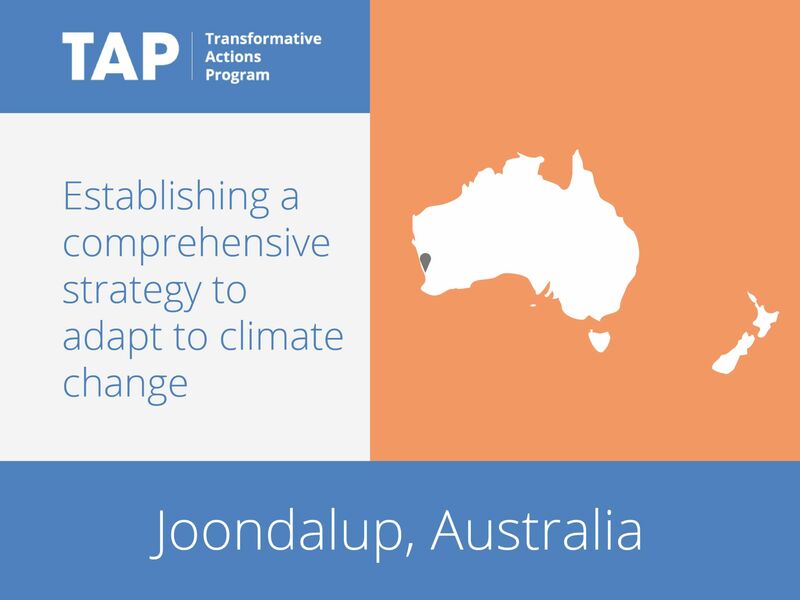 The City of Joondalup Climate Change Strategy 2014–2019 covers six key areas for mitigation and adaptation: infrastructure and assets, parks and reserves, land use planning and development, natural environment, corporate responsibility and good governance, and community wellbeing. In developing the strategy the city conducted a review of its energy use and emissions profile and assessed the risks posed to the city from climate change. Annual reporting will ensure both transparency and accountability to the community in the delivery of outcomes. In total, 43 initiatives relating to the focus areas will be implemented over the life of the strategy.